The luxury of leather match upholstery and power recline make this contemporary sectional a great addition to your home's entertainment space. Oversized seats with plush back cushioning offer immense comfort. For flexibility if needs change, the sofa and loveseat with center console can also be used as separate pieces. 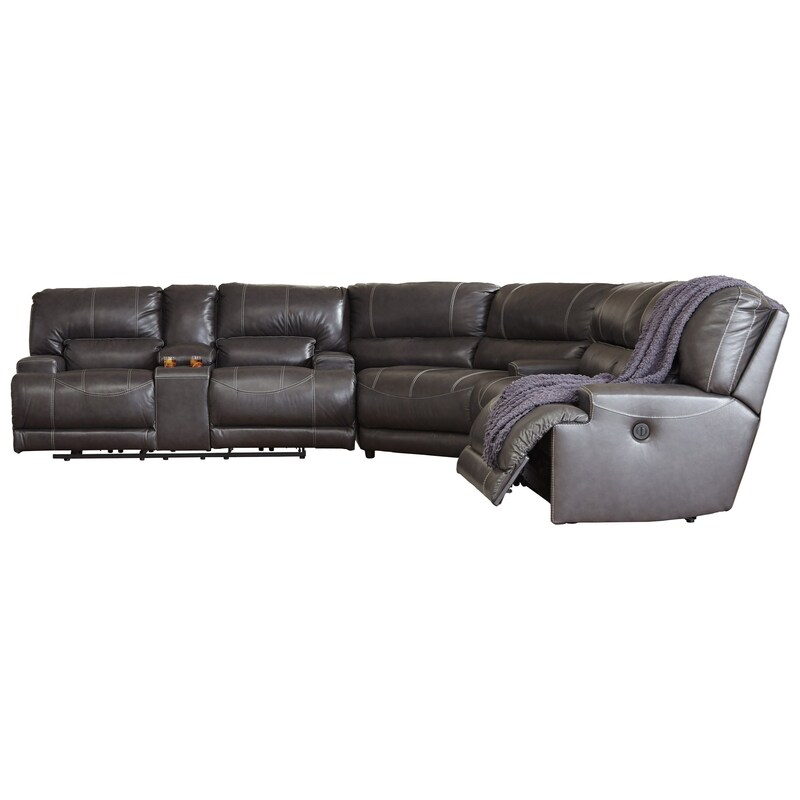 The McCaskill Contemporary 3-Piece Leather Match Power Reclining Sectional by Signature Design by Ashley at Miskelly Furniture in the Jackson, Pearl, Madison, Ridgeland, Flowood Mississippi area. Product availability may vary. Contact us for the most current availability on this product. Browse other items in the McCaskill collection from Miskelly Furniture in the Jackson, Pearl, Madison, Ridgeland, Flowood Mississippi area.